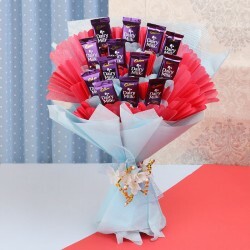 Who does not love a bouquet full of chocolate? Everyone does on this planet. 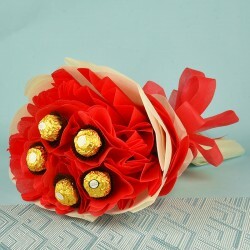 Absolutely delicious chocolate from MyFlowerTree, available in a bouquet is an ultimate gift for him. 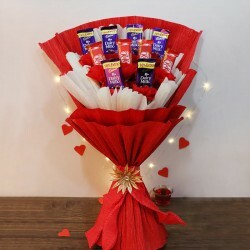 You can place your order for the chocolate bouquet and send it to anywhere in India on his birthday, anniversary, valentines day, Father’s Day, etc. 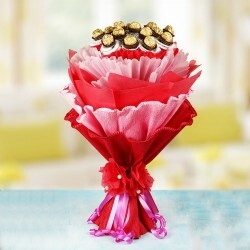 Every occasion is perfect when you have delicious chocolates. So why wait? Just go for it! 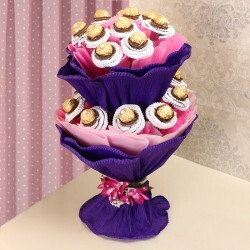 In our online store, you will find many a shapes and sizes of super delectable chocolate bouquets available. 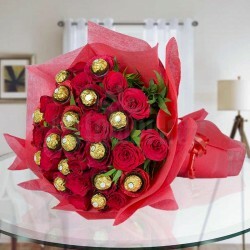 Ranging from homemade chocolates, assorted chocolates, to popular branded chocolates, exotic collection of International chocolates, you will find bouquets with all types of chocolates available in our store. 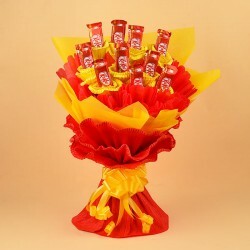 Each of these bouquets are handcrafted and our skilled in-house designers ensure that the utmost amount of skills and expertise are employed to make each of these. 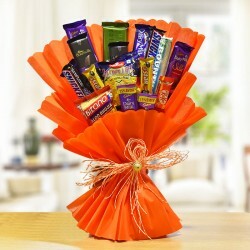 Are you really looking forward to double up the happiness quotient of your chocolate bouquet surprise? 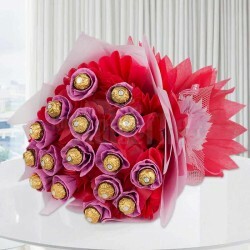 Well, you can simply do it by adding a heart touching gift item along with the chocolate bouquet. 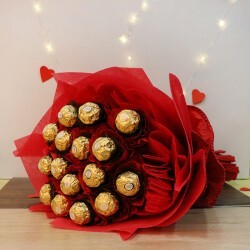 You can simply visit our shop, choose a best design of heart shaped chocolate bouquet for him and pair it up with a nice personalized gifts for him like a photo coffee mug, photo cushion, personalized message imprinted bottle, etc and send it your boyfriend, father, brother or whomever you want online. 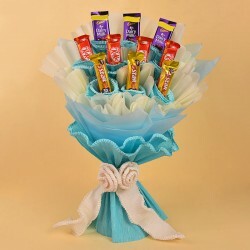 Some of the highly popular chocolate bouquets for him available in our online store are Dairy Milk Chocolate Bouquets, The Perfect Couple, 5 Star Chocolate Bouquet, Heart Knows All, All Fade Away, Classic celebration etc. 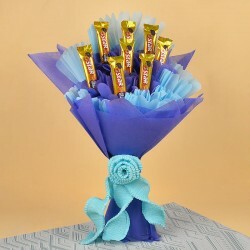 When you are sending a nice and super delicious chocolate bouquet online, all you want to ensure a very timely manner of delivery. 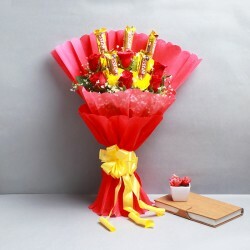 Keeping that in mind, we always offer special delivery features like same day delivery, midnight delivery, early morning delivery, fixed time delivery, express delivery, etc. 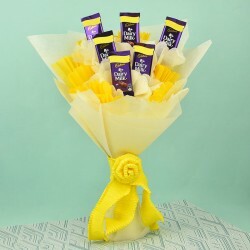 Now, it’s time to make an awesome memory for the man of your life by sending a nice chocolate bouquet ordered from our online site.